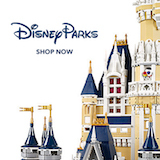 DVC Program - DVCNews.com - The essential Disney Vacation Club resource! So you've been to Walt Disney World (or Disneyland) and you've seen the dozens--nay hundreds--of Disney Vacation Club sales booths scattered around the property. You've seen the commercials on TV, the tote bags that guests carry through the parks and the the colorful DVC vans driving down the road. The only problem is that you still don't quite understand "Disney's Best Kept Secret." Well fear not! Here we'll walk you through three different aspects of the Disney Vacation Club purchase. DVC for Beginners is a general overview of the program with explanations of Home resorts, Use Years, Annual Dues and more. The last two topics address buying points direct from Disney vs. buying resale points through a broker such as The Timeshare Store, Inc.®. Remember these FAQs are here to help get you started but are not designed to be comprehensive! If you have additional questions regarding the Disney Vacation Club, please feel free post on our Discussion Forum. There you can receive feedback and real-life experience from hundreds of Disney Vacation Club members and prospective members.